The summer is the best time to attend the greatest outdoor concerts. Tailgates, reuniting with old friends, and more are just the start to an amazing day or night. 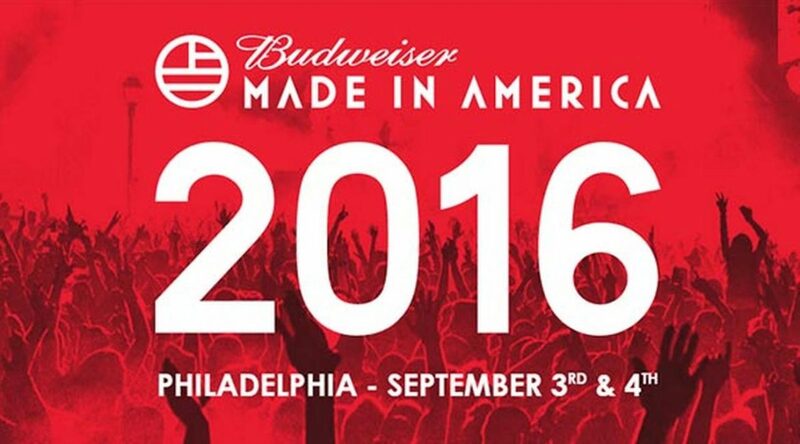 One of the most anticipated events of the summer is Philly’s Made in America Festival on the Benjamin Franklin Parkway. This year, huge names such as Rihanna, Coldplay, Edward Sharpe and the Magnetic Zeros, and more are taking the stage on September 3rd and 4th. People come from all over to attend this festival, even those who have had the misfortune of never trying a cheesesteak or seeing some incredible sights around Philadelphia. If you know someone who is coming into the city, be sure to show them the best places. Bring them to the Philadelphia Museum of Art and run up the steps out front like their favorite boxer, or get cozy in a hammock at the Spruce Street Harbor Park. Festival food can get ridiculously expensive. While it is important to stay nourished and hydrated, it is perfectly okay to try some Philly essentials while in town. When you need a break from the hustle and bustle of the concert, head over to Geno’s and kick back with some friends to discuss Rihanna’s wardrobe choice or how amazing Chris Martin is live. Make sure you all grab a fresh cheesesteak (wit or witout Wiz) and take in all of the memories from the night. If you are heading to the Made in America festival this year, have fun and be safe. Make sure you account for all of your belongings and bring a portable charger. Don’t get too caught up in watching the concert through your phone’s camera, and take in the beauty of the music surrounding you. Most importantly, be certain you leave some time afterward to swing by Geno’s for a cheesesteak.